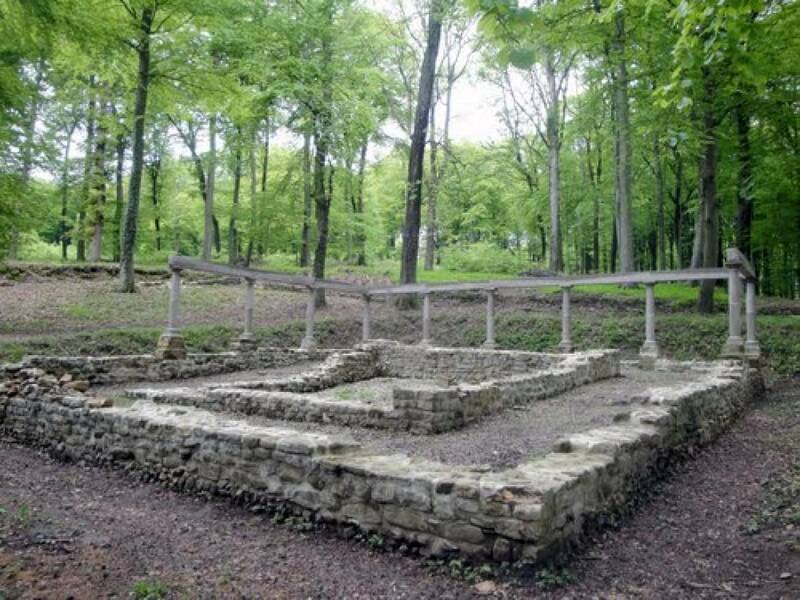 The remains of the extensive Roman sanctuary were discovered in the woods above Steinsel in the mid-1950s and its foundations were excavated from 1957 to 1961. A walled cult area with a central temple and several adjoining buildings was uncovered. The sacred precinct was built in the late 1st century AD as a pilgrim shrine on a hill above the Alzette valley, which was densely populated with Roman estates. Its heyday dates back to the second half of the 4th century. With the spread of Christianity and the devastation caused by the Germanic invasions in the early 5th century, the sanctuary was abandoned. This and much more about the details of the four excavated buildings can be found on site on several information panels in German and French.